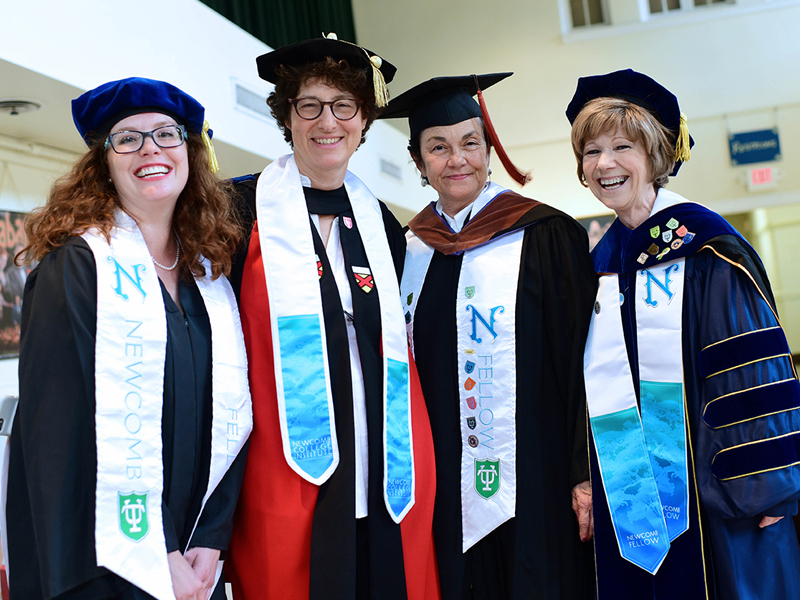 The Newcomb College Institute provides academic and co-curricular programs designed to enhance women’s leadership and gender equity. The Newcomb Grant Program recognizes the co-curricular as a vital extension of the curricular, values interdisciplinary and cross-unit collaboration, and funds the production of new knowledge and research by faculty and students and the integration of this research into the undergraduate curriculum in all fields. The Newcomb Fellows is a voluntary association of faculty from all undergraduate colleges of Tulane University. A Newcomb Fellow supports women’s leadership/gender equity and participates in activities of the Newcomb College Institute that foster faculty-student interaction and research. The Newcomb Fellows program was established by a resolution of the Tulane Board of Administrators in November of 1987. The Newcomb College Institute administers the Newcomb Fellows program. A faculty member (full-time, visiting, post-doc or professor of practice) who teaches undergraduates at Tulane University can apply to become a Newcomb Fellow.